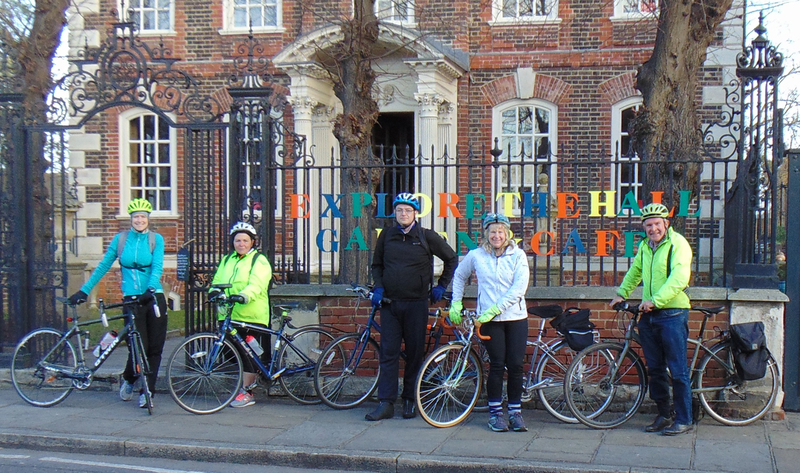 Five of us met up at Cutty Sark Gardens to cycle out to Rainham Hall. 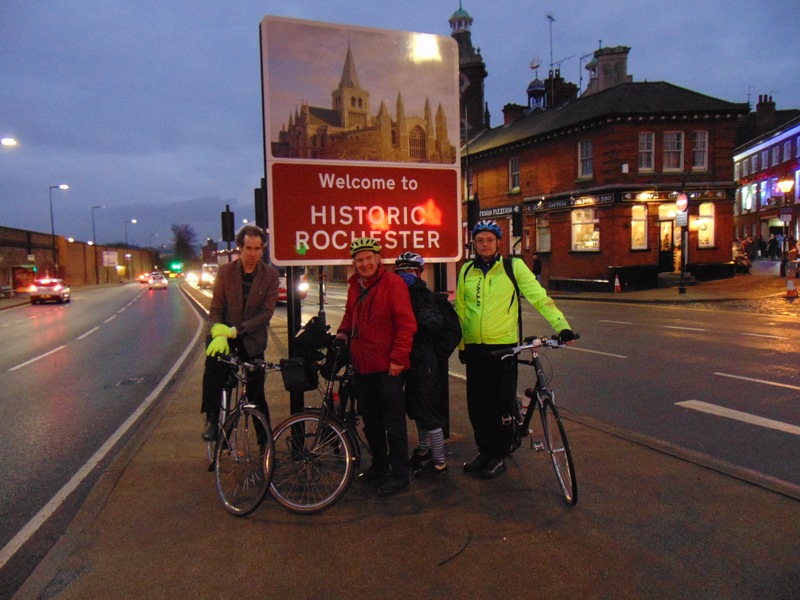 We missed meeting up with Julie at Woolwich by five minutes, but she made her own way to Rainham and joined us for the rest of the ride. We stopped off at the Rainham Hall Cafe and then climbed up the 60m Mt Ingrebourne to admire the view, which did not include the Upminster Windmill this time, as it is in Holland being refurbished. 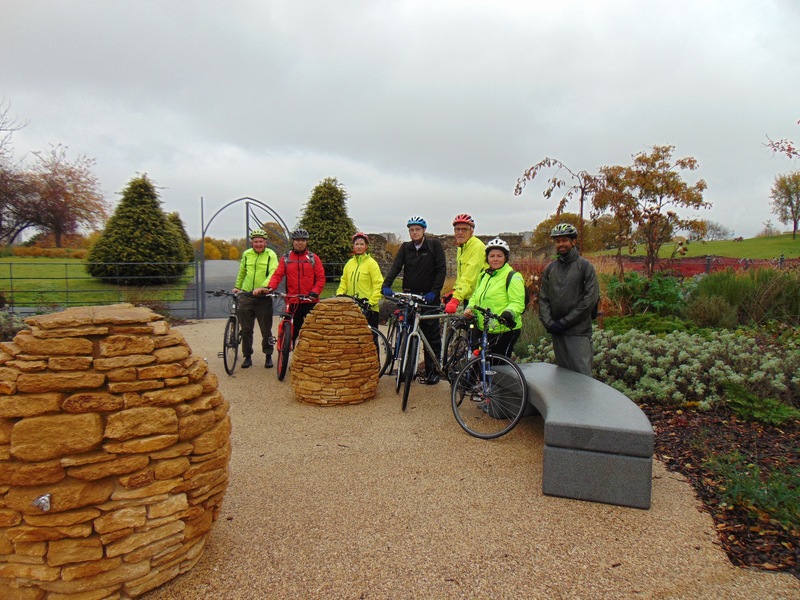 Despite the rain that was forecast for this ride, seven of us turned up at Cutty Sark Gardens and we were joined by an eighth rider, Julie, at Woolwich. The relaxation of our "three strikes and you're out" policy helped to give us a good turnout. 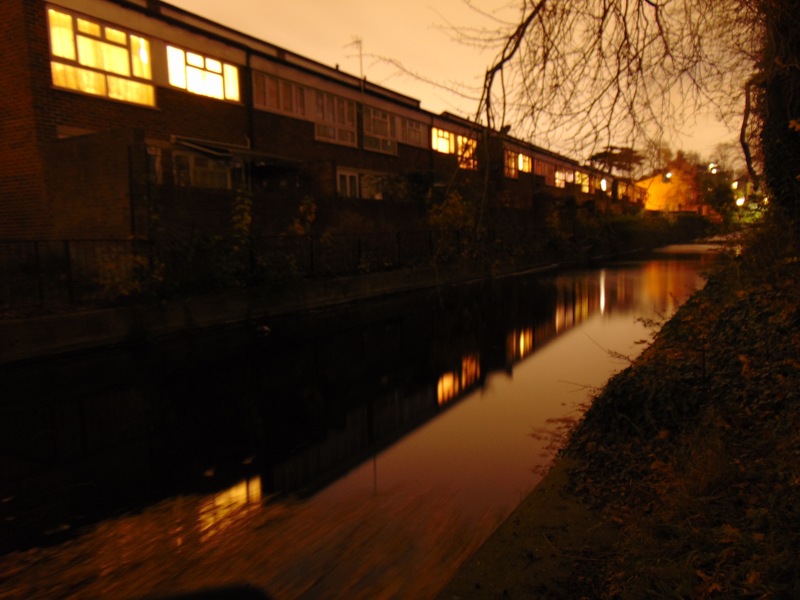 We have had our arm twisted by mass boycotts of our rides, so we do now allow non-Cycling UK members to come on more than three rides, as long as they're willing to be members of our cycling group.